After several hours playing Square Enix’s new Final Fantasy XII remaster, I can confidently say I like it. I can just as confidently say that I like it a lot more because I can fast-forward through it. The remaster’s full title is Final Fantasy XII: The Zodiac Age. It’s out on PS4 on July 11, and this is the first time the 2006 PS2 game has been made available for newer systems since it came out. This is a bells-and-whistles cleanup job: a visual overhaul, new save options, a tweaked job system, and a re-recorded version of Hitoshi Sakimoto’s killer orchestral score. And perhaps best of all, you can press the left shoulder button and immediately make everything move twice (or four times) as fast. 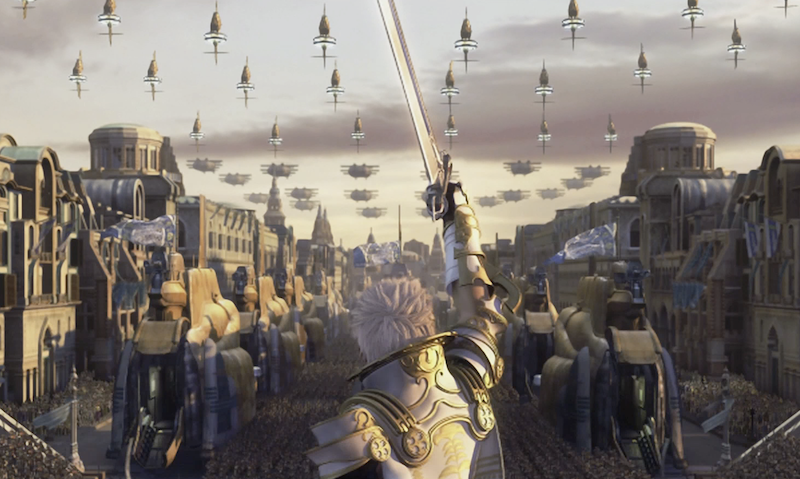 FFXII is a big game, even by Final Fantasy standards. I’ve occasionally seen it referred to as a “single-player MMO,” since the combat shares more things in common with massively multiplayer online games than with the measured, quasi-turn-based combat of previous Final Fantasys. Once you’ve assigned your party members their respective roles and combat operations (called “gambits”), you can get through a lot of fights without actively doing much. Enter the fast-forward feature. I played the opening chapters of FFXII at normal speed. Shortly after the intro, the game puts you through several dungeons back to back, which quickly started to feel like a slog. Oh look, another sewer full of bats. Another cave full of mecha-spiders. None of those fights were difficult, they were just time consuming. My characters moved so slowly, even out of combat. I was spending most of my time watching them casually jog toward the next exit. A couple hours in, I tried the fast-forward button, and everything changed. The game was moving twice as fast. I started racing through trivial combat encounters. Fast-forward also increased my overall movement speed, and I’ve started treating it like a goofier-than-usual “run” button. I like what I’ve played of FFXII so far. I’m mostly interested in the story, the characters, and that amazing music (which, thankfully, plays at normal speed when fast-forwarding). I don’t care that much about my twentieth Dire Rat encounter, and I’m grateful for the opportunity to make those go faster. Without fast-forward, I probably would’ve stopped playing Final Fantasy XII somewhere in the third dungeon. Which would’ve been a shame, because this seems like a pretty good game.